One of the main services we provide at Your Telecom is the supply and installation of small business telephone systems. With a major part of our customer base falling into the small to medium sized categroy, for many years we have been improving and perfecting a telephone system for small business use. One of the biggest issues a business can have when choosing a small office telephone system is making sure the right balance between price and functionality is met. It’s quite apparent that if a small business spends 10’s of thousands of pounds on a phone system like a large corporation would do, that small business could also have an impressive feature set, and a solution that ticks all the boxes in terms of functionality. But let’s face it. That’s quite an uncommon scenario. So what we find is small companies sacrificing features and functionality, even if they are sacrificing particularly useful elements, purely and simply to bring the price of the solution down to something that is within that businesses budget. Your Telecom’s small business telephone system solutions are second to none. We’re incredibly proud of the fact that with our solution small businesses can get the same feature set of a blue chip company, with little or even no up front investment at all. 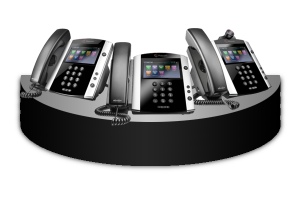 With an outright purchase option with a one month rolling term of a brand new, feature enriched 5 seat telephone system starting from £250.00 it’s easy to see why our telephone systems for small businesses are so popular. With rental and refurbished options also available we genuinely can ensure that no useful functionality is scarified when choosing a system. Our small business phone systems really do allow companies with less users and a low budget to still implement a telephone solution that has the same functionality of a FTSE 100 company. Call recording and call reporting are great examples of a features that almost every business would use if they had them available. But the fact is that those add-ons even for as little as 2-5 users could cost thousands of pounds to implement. Which is why many small businesses simply can’t justify it. With our small office phone system call recording and call reporting is included as part of the package. For our users dispute resolution, training, quality assurance and call management are all areas of an organisation that are now seamlessly resolved with those features being readily available. See below for a full list of features that are included in our small business telephone systems. If you are looking to save money on your lines and calls for existing small business telephone systems then get in touch now! We have some highly competitive deals on ISDN and Analogue Lines starting from a one month term. We also offer various connectivity solutions such as business broadband, FTTC (or fibre broadband), EFM, Leased Line services and much more. If you would like us to build a package involving all areas of communications for small businesses, then you’ve come to the right place. We also offer provide Hosted VoIP, LG, Avaya and Panasonic small business telephone systems which gives us a broad portfolio of solutions to cater for any particular type of business or criteria requirements. That’s why we are able to offer a free small business telephone system comparison report to all new customers that is specifically designed around your companies needs, with all the pricing options, pros and cons outlined in a very simple format. If you’d like to discuss what small business telephone systems are right for your organisation call us now, or email solutions@your-telecom.co.uk and we’d be happy to help!